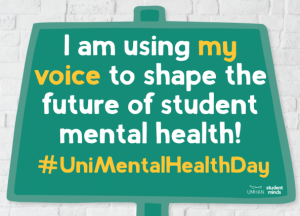 It’s University Mental Health Day on 7 March and this year it is all about the power of using your voice. 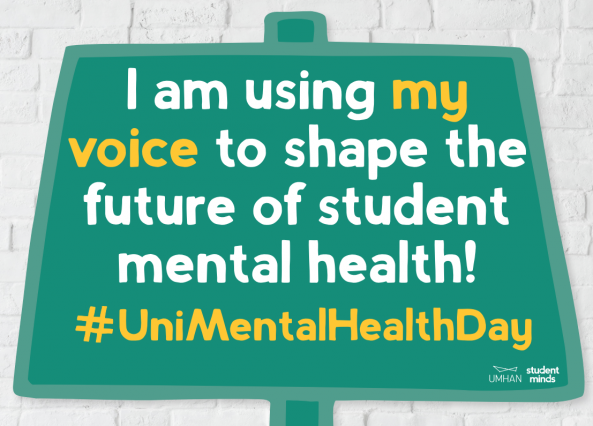 We all have mental health, we all have stories to share and we can all use our voices to shape the future of student mental health. Join the Mental Wellbeing Team and Student Minds in Anslem and Augustine House, 10.00am to 4.00pm and in Medway (Cathedral Court 10.00am – 1.00pm and Rowen Williams 2.00pm- 4.00pm) to voice your support for Mental Health, share your stories in the listening booths and find out what support is available. Take a break and come along to one of our Mindfulness Workshops at 9.30am in AHg.56 Augustine House or 12.00pm in Af01 Anselm. Mindfulness can help you become more aware of your emotions in the moment and help you to manage your feelings in a positive way. Come along to find out how you can develop this life enhancing skill and deepen your sense of well-being and fulfilment. The University is launching a research project about men and how they get help while at University, so we can explore how we can improve the support we provide. There is some evidence to suggest that male university students are less likely than female students to seek help when experiencing stressful life events. This research looks at how men deal with adversity while they are at University, what support they look for, and what they find unhelpful. If you are interested in finding out more and taking part please click here. As part of University Mental Health Day we will be sharing our ambitious Mental Health and Wellbeing Framework and how together we can create a positive place where everyone can reach their full potential. Please email staff.development@canterbury.ac.uk to book your place. Our Mental Health Practitioners can help with general mental health-related queries and emotional distress. They have a range of services they can offer including self-help resources and techniques to help with anxiety, stress and depression. They can also refer individuals for counselling both within the University and externally. Chooseday Chill is a great informal way to meet the Student Support team for a chat and support over tea and toast, every Tuesday in Augustine House Library between 5-7pm. Our Chaplaincy also offers a safe space to take and discuss your problems in a non-judgemental environment. Never feel that your problem is too small or too large, or that you are alone in dealing it. The University Chaplaincy is there to support you, so get in touch if you need them. 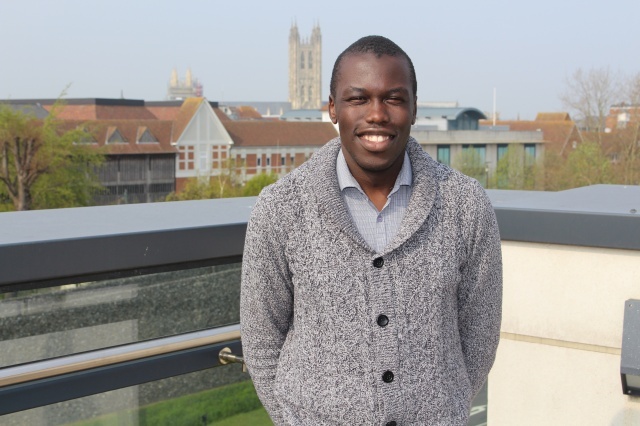 You can contact them on chaplaincy@canterbury.ac.uk or for more information, click here. The Big White Wall is a free 24/7 online service that allows you to get support, take control and feel better. It’s a safe and anonymous space you can go to if you’re feeling down, struggling to cope or just want to talk to people who understand what you’re going through. Whether you want to speak to peers or a counsellor, there will be someone there every minute of every day.